A U.S. patent application published on Thursday suggests that Apple is at least experimenting with the concept of wraparound displays for some of its portable devices. Simply titled "Electronic Device with Wrapped Display," the filing refers to a "hollow display cover structure," which could be protected by crystalline material such as sapphire. Inside would be some form of flexible display technology, a given example being OLED. 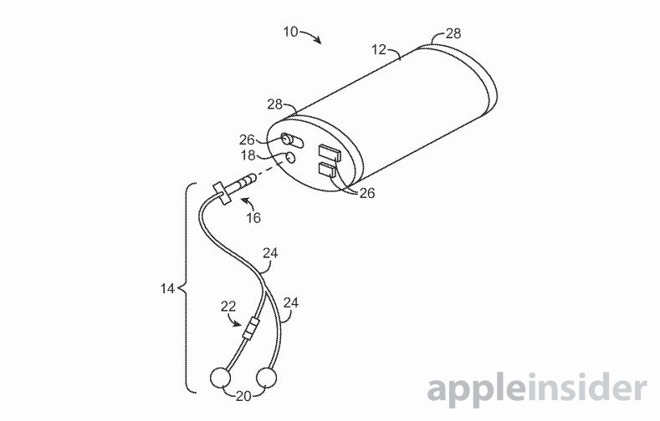 Images attached to the patent don't resemble any current or rumored Apple device, and the company suggests that the patent could be applied to any number of products. The most realistic illustrations do however show a tube-like design vaguely similar to an iPhone or iPod, including ports and buttons. Apple also refers to app support and possible touch, voice, and/or accelerometer input, hallmarks of the company's mobile devices. Curved displays are still a relative rarity in the electronics world, seen mostly in TVs, monitors, and a handful of smartphones, like the Samsung Galaxy S6 Edge. Full wraparound displays are essentially unheard of outside of demonstrations, making it unlikely that Apple would release such a product in the near future, if ever. Apple is however believed to be working on adopting OLED for future iPhones, possibly in 2018 or 2019. That could permit displays similar to the S6 Edge, or at least ones better able to bend under pressure.